Side Loader Garbage Truck Spotlight. Though garbage trucks make up a relatively small portion of a municipal fleet, their large impact on overall budget makes them a popular benchmarking class. This vehicle spotlight focuses on side loader garbage trucks. The pie chart below shows the annual market share for the most common manufacturers of this vehicle class. 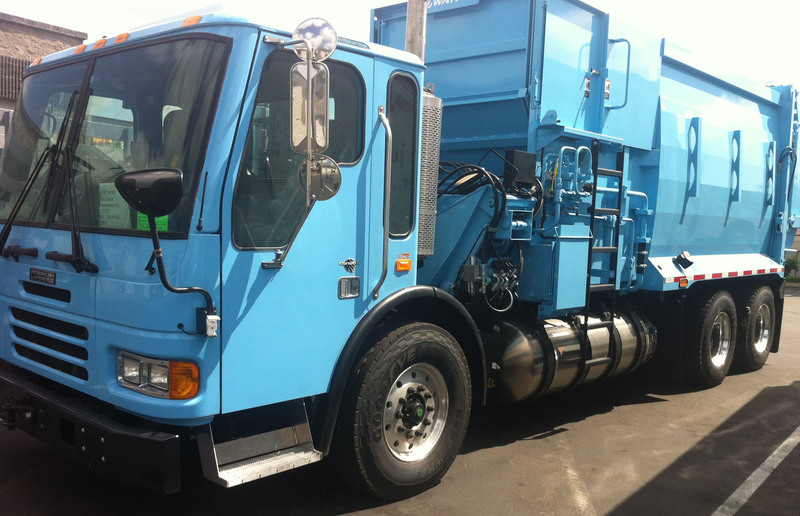 For more information on front, side, or rear loading refuse trucks, contact Utilimarc here. Fire Pumper Truck Vehicle Spotlight. A common vehicle class for municipal clients, this truck is one of many emergency vehicles that are tracked in the Utilimarc database. The pie chart below shows that maintenance on these vehicles is dominated by unscheduled work. For more information about the Fire Pumper Truck and other emergency equipment, contact Utilimarc here. Toyota Prius Outperforms in More then MPG. This week’s Vehicle Spotlight focuses on the Toyota Prius and traditional compact gas-engine sedans. The graph below shows this hybrid vehicle’s performance in a parts and labor cost per mile comparison. The table below contains additional usage information for these vehicles. For more information about the Prius’s performance against its gas counterparts, contact Utilimarc here.